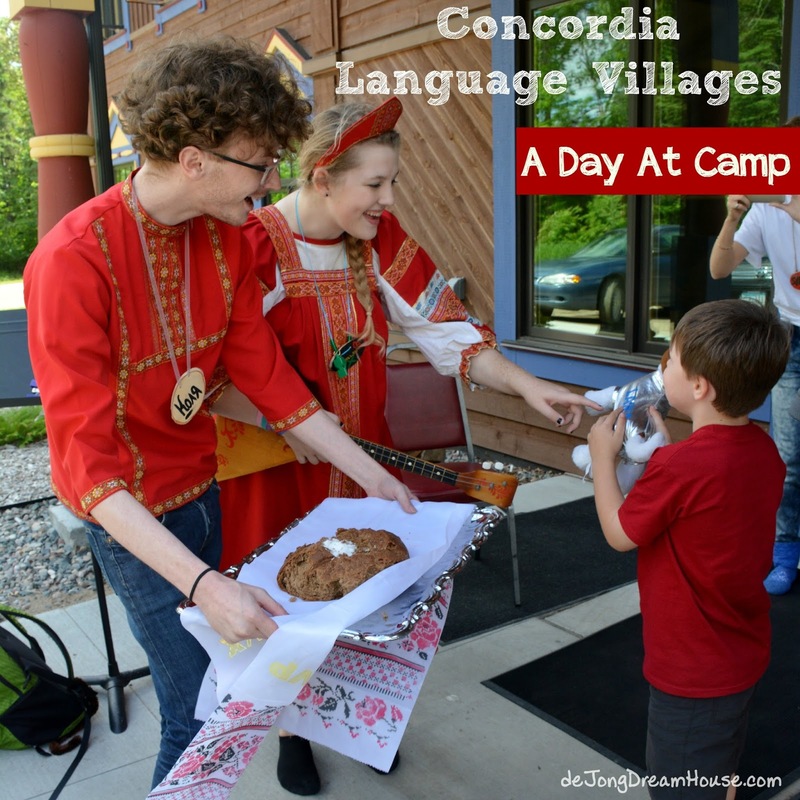 This is post four on our family's recent experience at Concordia Language Villages' Lesnoe Ozero Russian family camp. 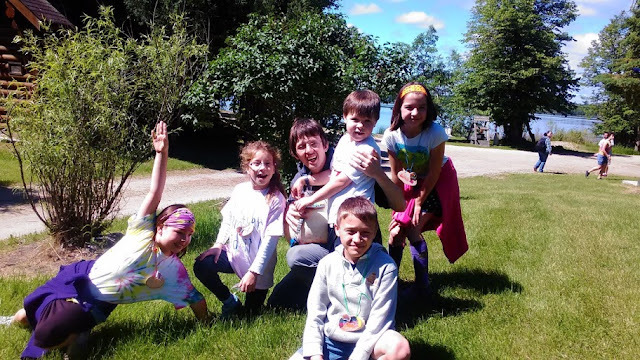 My first post explained what CLV is and what makes it different from other language camps. 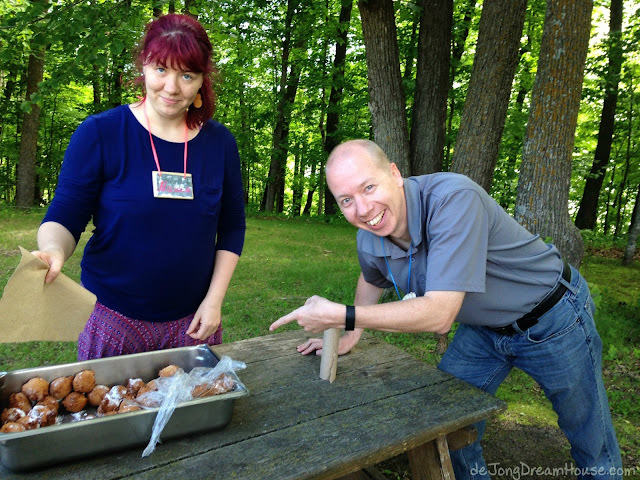 In the second post, I shared how to prepare and pack for a week (or more) at camp. 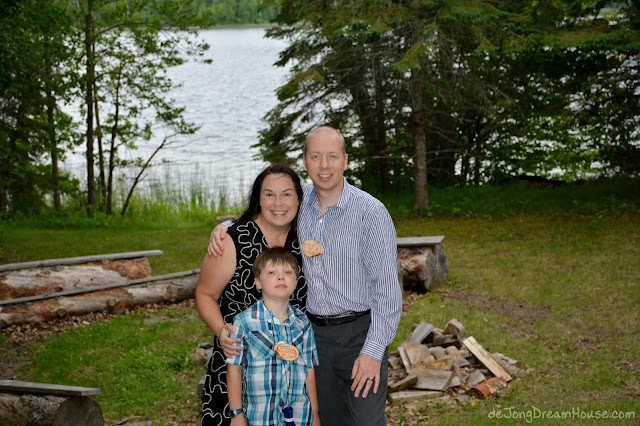 In my last post, I took you on a (short) tour of Bemidji, MN and the gorgeous Lesnoe Ozero Russian camp setting. 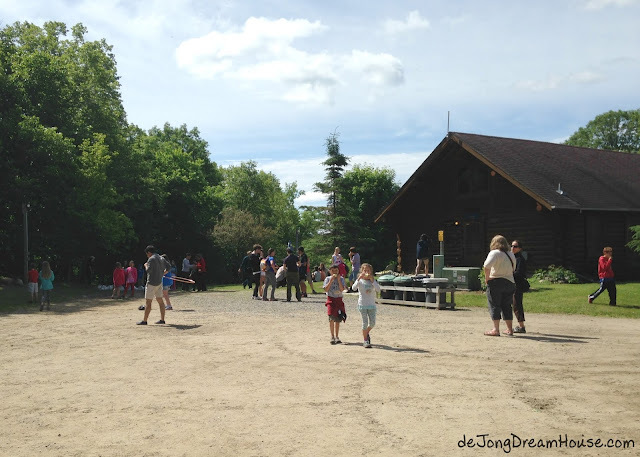 So, now that we are settled into our cabins, it's time to start learning a new language! 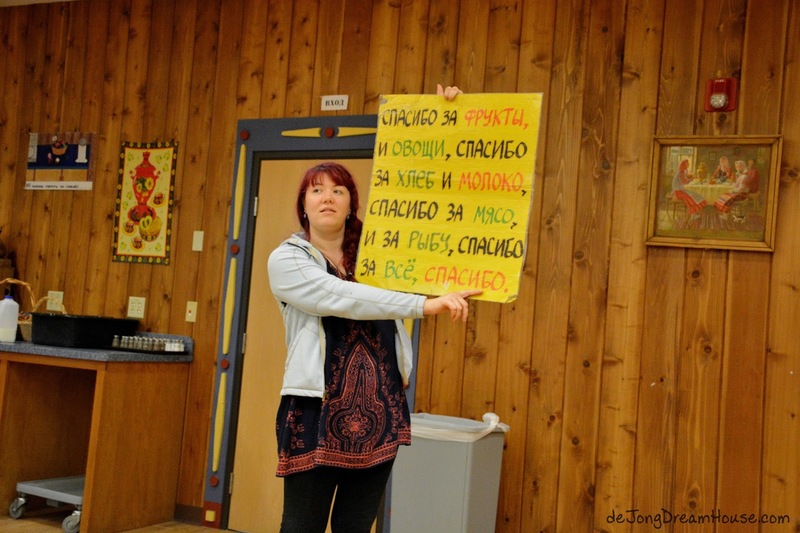 As I mentioned in an earlier post, Concordia Language Villages offers immersion camps in 15 different languages (including English). 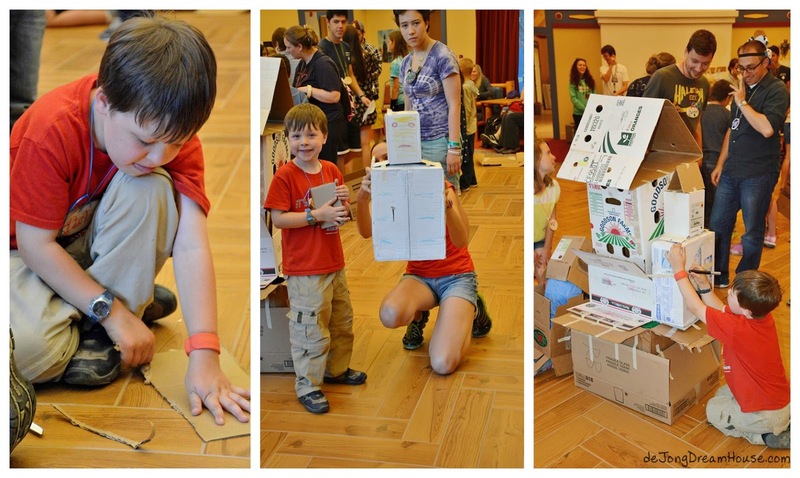 Each camp varies slightly, but this is what a typical day looked like in Russian family camp. That really clears things up for you, right? Welcome to the world of immersion! 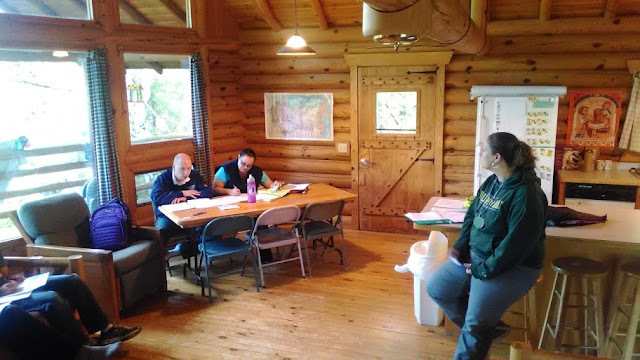 Fortunately for campers who are not part of family camp, there is a Russian-speaking (and reading) counselor in the cabin with them to let them know that 7:30 is the start of the day. ("Good morning" on the schedule above). For those of us in family camp, we either used or took advantage of the native speakers around us before we went to bed the first night or resorted to Google translate! 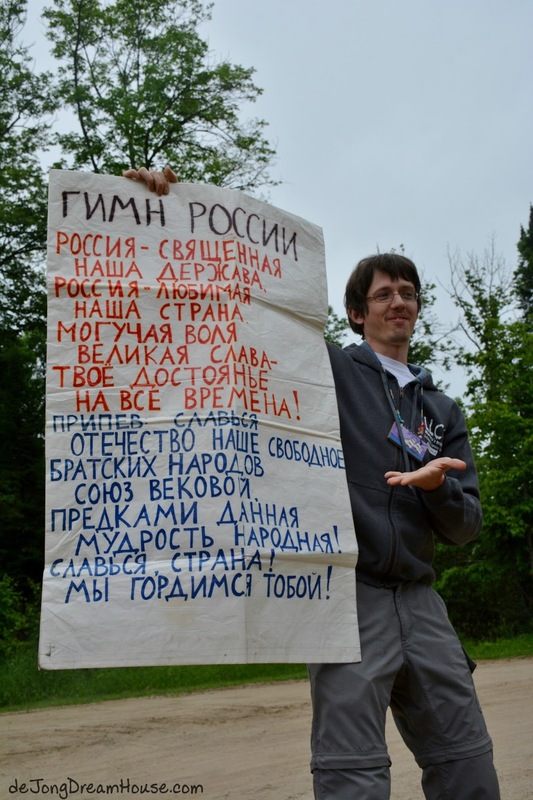 This is a good time to mention that most of the families at family camp had a personal connection to a Russian-speaking country, whether a parent emigrated to the US, or because the family adopted a child from Russia. 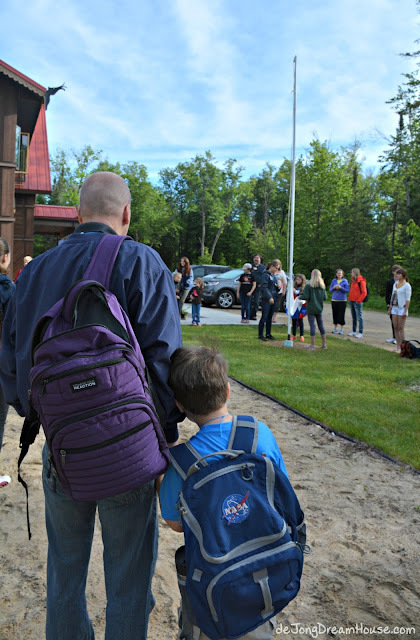 In either case, these heritage families came to camp to give their children (and American spouses) exposure to Russian language and culture. 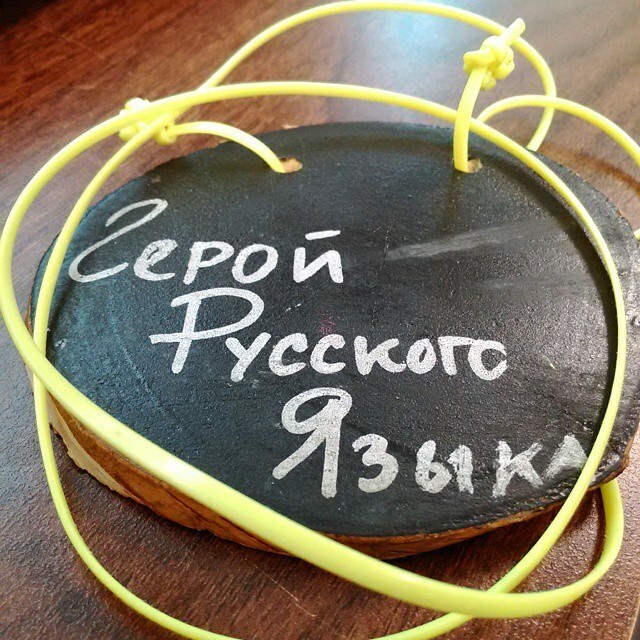 In our small group of new Russian speakers, we also had a dad who brought his family to camp as a vacation, bringing to mind the time he spent in Russia as an exchange student. Another father's child randomly checked out a video on Russia as a young boy. An obsession with Russia followed and now the family comes to camp together to nurture his interest. Our family came to Russian camp because Dutch--our family's second language--is not offered. We left the language decision up to our son. He chose Russian because of his love of space and Russia's place in the history of space exploration. We heard that less-common languages share this trait. Spanish and French camps, in particular, are more likely to have families attending due to other motivations. Between our utter lack of Russian exposure ("Sputnik" and "Vostok" are not so helpful in a meal setting) and my brain injury, we felt okay with sneaking peeks at Google Translate. But honestly, the staff do such an impressive job acting out and communicating their meaning that after that first overwhelming first day, I mostly only took my phone out to snap pictures, make notes, and look up recipes for the delicious food we were enjoying! Speaking of food--my next post will be all about the food!--we didn't have much time between the start of the day and the raising of the Russian flag at 8am. While everyone at least changed out of their PJ's, camp in general, and mornings in particular, are very casual. Throughout the day, we saw signs like this to reinforce the rhythms of the day. On the first morning, I couldn't read a word of this sign. By the end of the week, the unfamiliar markings on the signs turned into letters with sounds I could make, and some letters formed words I could actually recognize. That was a pretty exciting realization! Because the immersion method at CLV is purposely evoking a sense of being abroad, we raise our host country's flag each morning and sing the national anthem of that country. I'm hoping that campers from other villages will eventually chime in, but in Russian camp, we used the Russian flag each day. I'm curious if in other camps, where multiple countries speak the target language, different flags are raised each day. As an international family, global citizenship is a character trait we value. Corralling an over-stimulated, sleep-deprived six-year-old is no easy task, but we did (mostly) manage to teach him to respect the flag and anthem time. After the flag was flying, we headed in to St. Petersburg for breakfast. The dining room is decorated with Russian art and flags from Russian-speaking countries. At lunch, we sat with our family group and leaders. 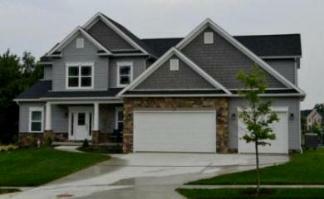 This is when mail is delivered, so we sit in our "houses" to make delivery easy. During Family camp there wasn't a lot of mail to deliver, but one day we did write a note to D, which he thought was really cool. 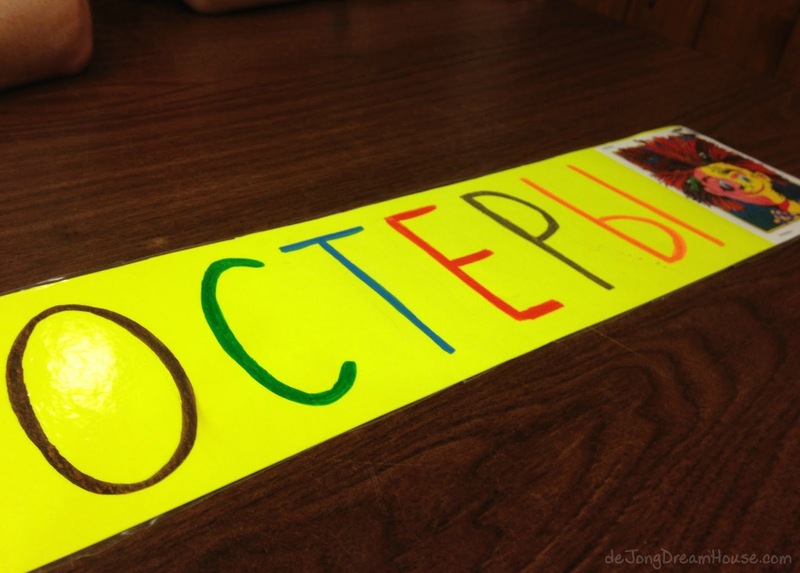 Most meals we sat next to the Moldovan flag at the front of the room. We hosted a student from Moldova last fall, so ti was a nice way to feel connected to him again. 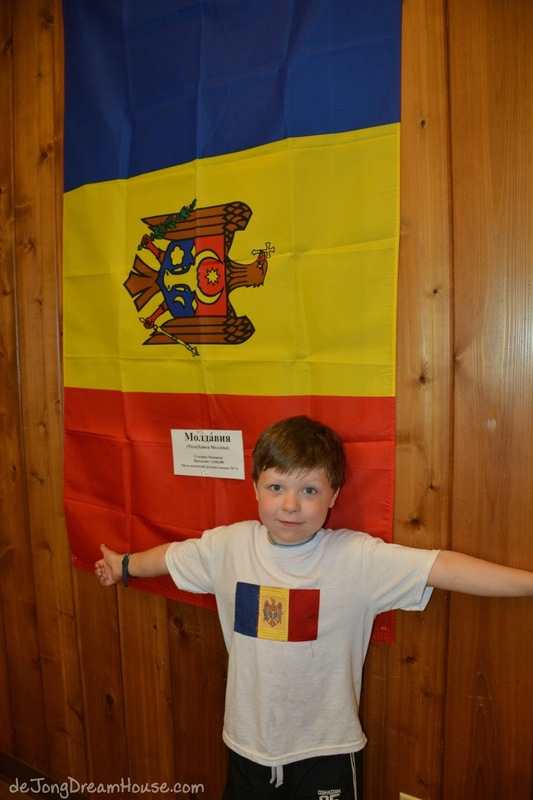 D was happy to wear his appliqued Moldovan flag shirt, just one in a growing number of flag shirts I have made for him. Each meal followed the same routine. We were greeted by a few of the counselors, and we greeted them in return. We talked about the meal we were about to eat, with the staff acting out and showing each item. We sang a meal song and had a moment of silence for everyone to say thanks in their own way. Our meals were really, really, good. I'll devote a whole post to food tomorrow, but here's a peek at my favorite meal, chicken tushenaya kapusta (chicken with braised cabbage). 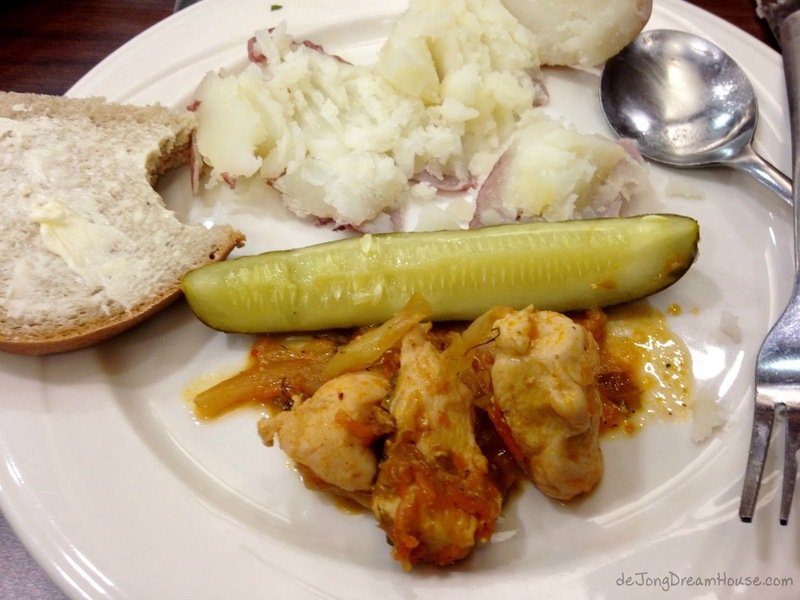 Russian food includes a lot of beige: potatoes, bread, and sour cream are served at nearly every meal. But the flavor of this chicken dish was incredible. 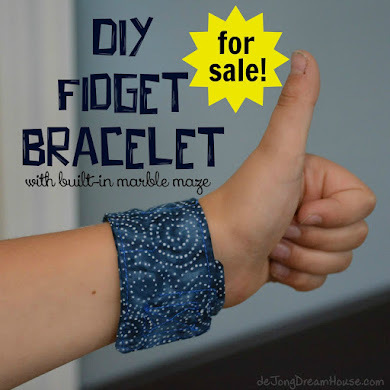 I've already made it once since we've returned home and it was a huge hit. Imagine chicken seasoned with paprika, cayenne pepper, garlic, and dill....Mmmm, вкусно! After our meal, we sang a song of thanks. There were several, but this one was my favorite, perhaps because the tune ("Faith of our Fathers") was familiar. After our meal, staffers came up and acted out what the next few hours would entail. 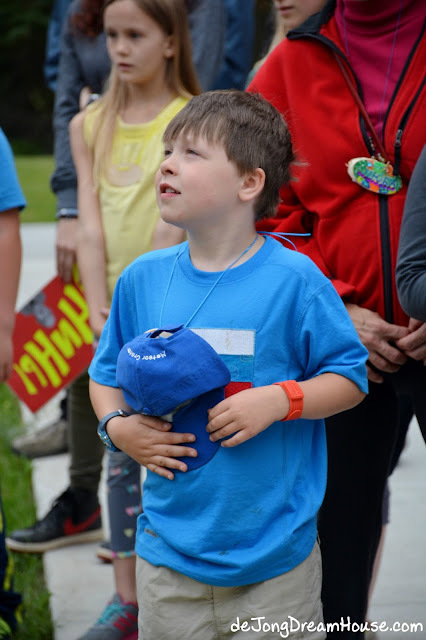 Every morning campers were challenged to put on a special name tag indicating that they would be attempting to speak only in the target language (again, English is acceptable in matters of safety). This was just one of the ways CLV caters to individual language levels. The "hero challenge" was a bit too overwhelming for our little guy, but many of his new friends took part. The rest of us sang a song to encourage the brave campers. Photo credit: Lesnoe Ozero's Facebook page. After breakfast, we headed to our cabin for about 30 minutes to clean up our cottages (or ourselves)! From there, we met up in Red Square before heading into our lesson time. 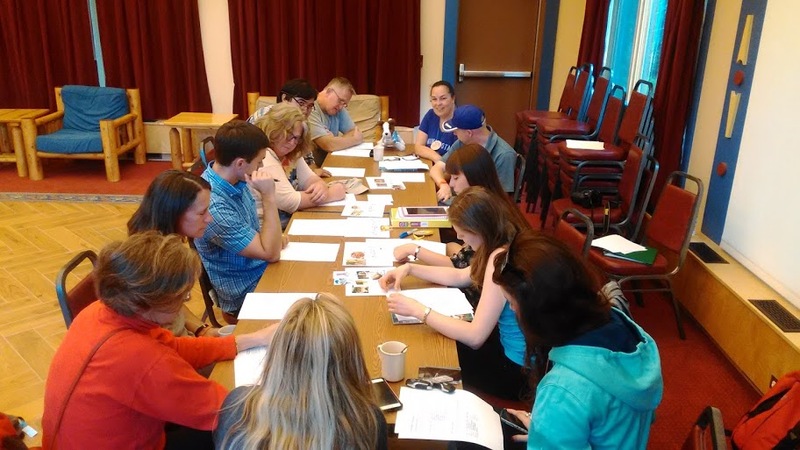 On the first night, we filled out surveys on our knowledge of Russian language. Since we knew nothing, we were put with other adult absolute beginners. 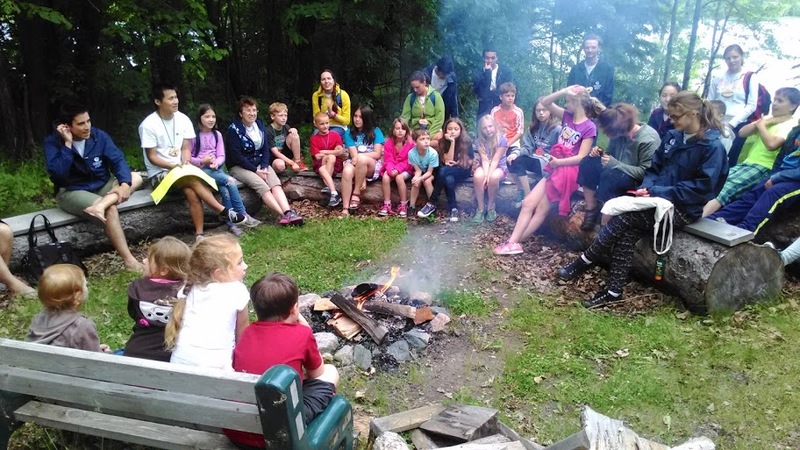 While camp is clearly geared to kids, adults are not an afterthought. The staff recognizes that many of us are using vacation time to be here with our families, but may not be able to be unavailable for an entire week. The staff leaves it up to each adult to participate as much (or as little) as they'd like. Many parents attended every session. Others enjoyed the beautiful outdoor office as they keep up with work. 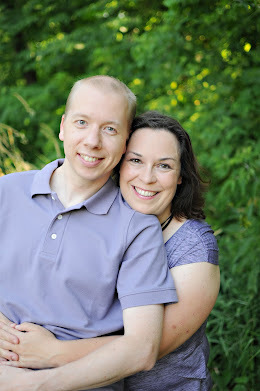 Some parents (hello!) took advantage of downtime not afforded at home in the summertime. Part of this grace shown to parents included the ability to use English during lesson time. We older learners don't learn as easily, so occasionally our teacher would explain the finer points of language in English. And give us cheats like this. 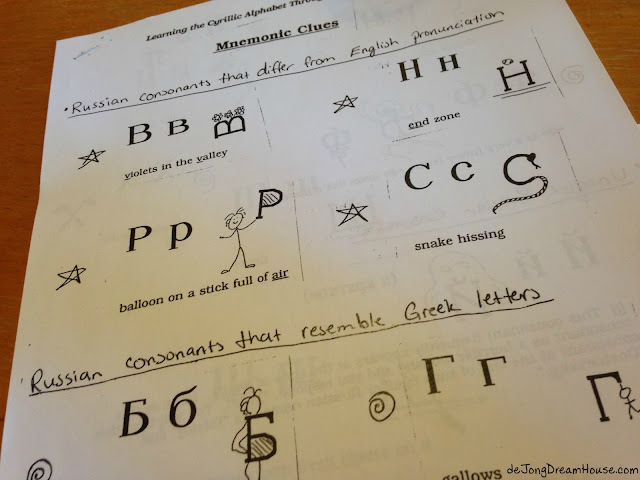 For kids, language lessons were a total immersion experience that looked an awful lot like fun and games. In fact, when we asked our son what he did during lesson time, he just cocked his head, and said, "Well, we just played and had fun." We get a break in our lesson-filled morning for a snack. Most days, we are offered something healthy like a piece of fruit. One morning though, my Dutch husband was absolutely giddy to see that Russians also love oliebollen or as the Russians call it пончик (Ponchik). Perhaps world peace can be attained through donuts. 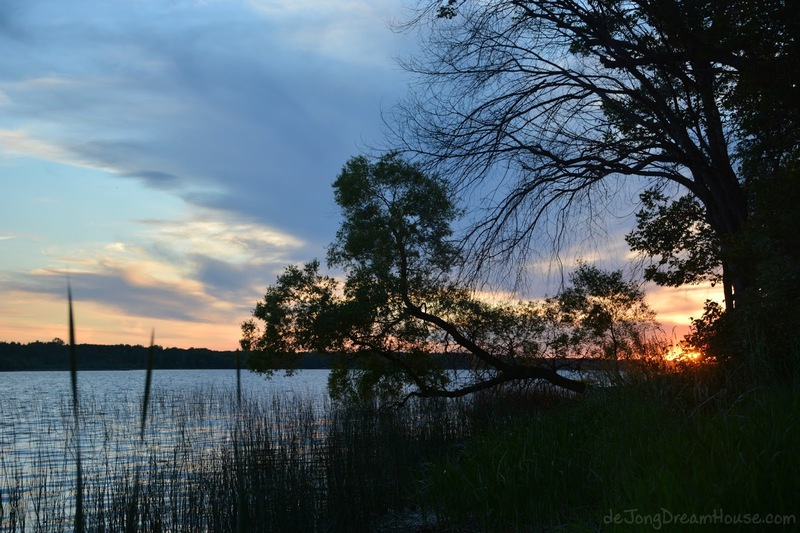 During the break, we could see the kids running around, playing tug of war, jump road, exploring the caterpillars on trees, observing a mama turtle laying eggs (! 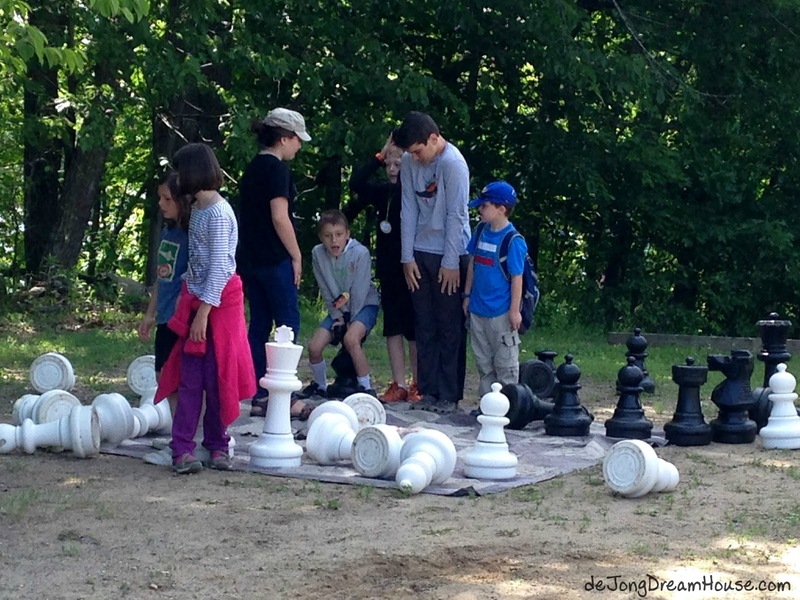 ), or playing on a giant chess board. After lessons, we head back to St. Petersburg for lunch and a preview of our afternoon, which includes my favorite time, тихий час (tikhiy chas), or quiet hour. I usually napped or caught up on the world during this time. Other approved activities include reading (in the target language), writing letters, and other quiet activities. 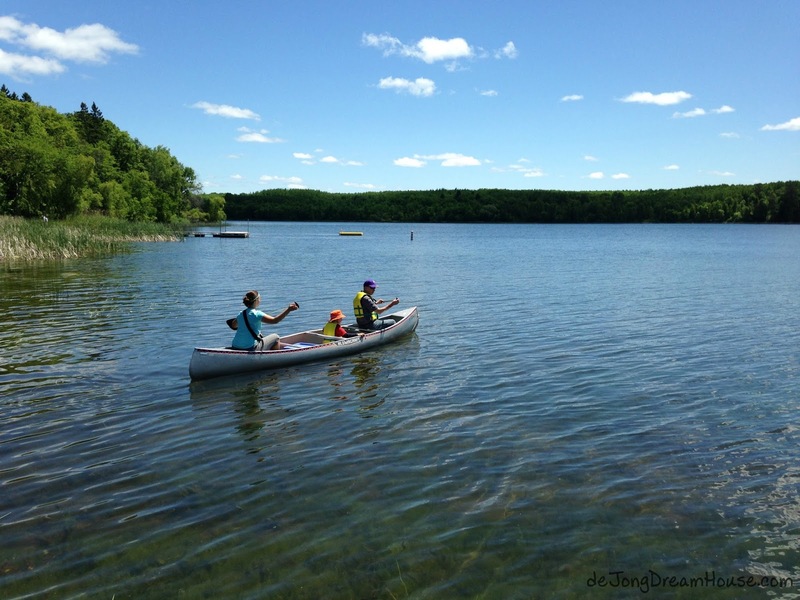 After the much-needed quiet hour, campers enjoyed 45 minutes of free time. The camp is set up to give attendees free time and down time...but not too much! There's plenty of fun things to do that take advantage of the lake setting and celebrate Russian culture, from swimming, boating, playing soccer, volleyball, badminton, chess, or checkers, reading a book from the library, practicing archery, painting nesting dolls, dressing up in costumes, playing music on the piano, hanging out with new friends, or taking a nap! It was still cool when we were at camp, and we couldn't convince our son that no sharks were in the lake, but it was a beautiful beach to admire nonetheless. After free time, campers selected a cultural activity to explore. Cooking was very popular, as were the sports and arts. Parents were invited to gather at these times to learn about different areas of Russia, holidays, or to just compare notes on how we are raising global citizens. 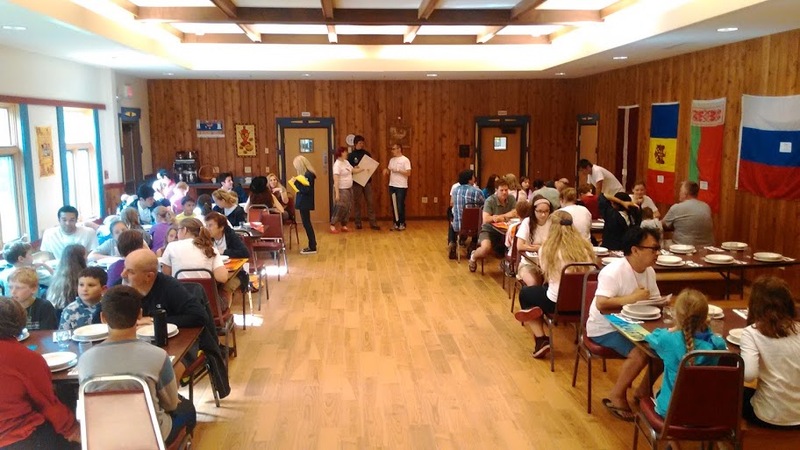 After culture hour, campers gathered to sing Russian songs. This song about Grandma and her two geese was a favorite. From the large gathering room in St. Petersburg, we walked outside to lower the flag (and sing the anthem), before coming back inside for dinner. After dinner, had another selection of culture hour choices before our evening program. Our nightly activities included things like watching a cartoon or tv show in Russian, and learning about a holiday or important cities. One show that we really liked is called Masha and the Bear. We've been watching it a lot since we've been home, and it's easy to follow, even if you don't know Russian! For adults, this clip from KBH (similar to Saturday Night Live) is a satire on the influence of friends in high places. The most exciting night for our son was the day we celebrated Soviet space history. His other favorite thing was the campfire. Considering that our son gravitates toward indoor interests, we loved seeing him embrace the great outdoors. Other than the first day--when we arrived in the afternoon, settled into our cabin, enjoyed dinner, and toured the camp--and the last day, when we left around noon, most days followed this basic schedule. The one exception was the night we dressed up to celebrate New Year. Every camp has one dressy occasion, and it was nice to see everyone look a little more like what they probably look like in the real world (not me, I live in yoga pants!). 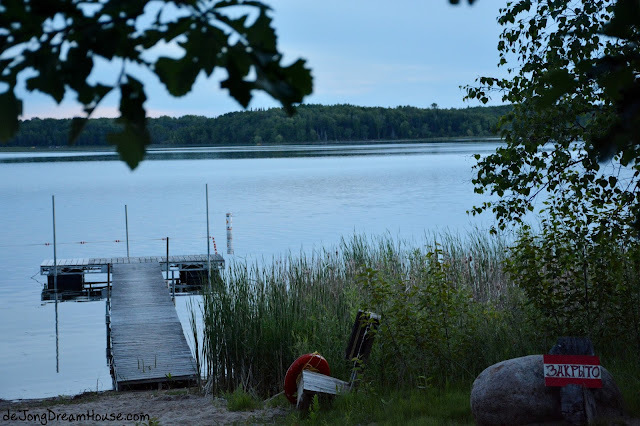 At the end of each evening, we enjoyed a leisurely walk back to our cabins to end our day. This sounds AMAZING! I shared your first post in this series with a coworker with similar linguistic interests and he responded with, "I'd totes be there. Just need to pick a language!" I've been thinking a lot about this, and I think it would be really valuable for us as a family to explore a new language together. My daughters and I speak 6 languages between us, but we share only one, and we've never had comparable fluency in any language other than English. I think it would be good for them to see that Mommy makes mistakes too, and it's okay to sound and feel silly for a while. Wow! Six languages?! That's impressive! And you are so right, I think it is a great gift to show our kids that we make mistakes. I was so proud to see D jump in and built confidence speaking new words. He didn't care if his pronunciation was a little off. He didn't have the hesitation that so many American adults have in speaking a new language. Go for it!! We are already eyeing German camp next. But I think I would like to do Italian or Norwegian!